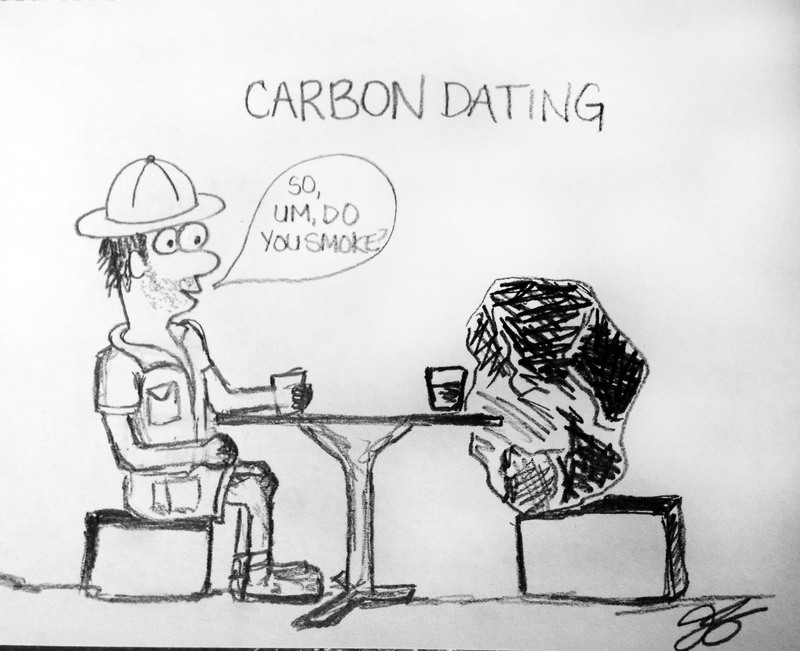 Archaeologists like to use several dating methods to find out more about artifacts. It all depends on what the object is, where the archaeologist is located (what resources he/she has access to), and how old the artifact appears to be. What is eligible for dating? Not every artifact is eligible for all dating methods; for example, an artifact must be made from a carbon-based material to use radiocarbon dating (stone, for example doesn’t have carbon). A stone artifact can be dated based on the way it looks and/or the way it was made. Over many years of research chronologies of stone tools (and pottery) have been built, based on styles (called Seriation). Archaeologists can also be matchmakers by using the context, which is the where, when and how an artifact is found. 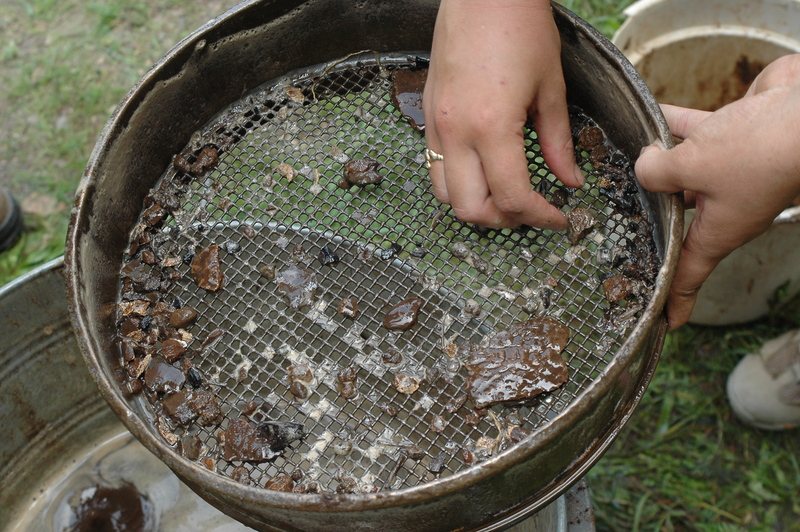 In the end, archaeologists often use a few different methods on an group of artifacts found together to come up with a reasonable date. Archaeology was underway in May 2013 at the site of the Fugitive Slave Chapel. Timmins Martelle Heritage Consultants Inc. conducted the archaeology assessment with the help of public archaeology volunteers. TMHC has a passion for, and experience in early black history archaeology in Ontario and were considered a good fit for this local project. Much of the material found on the site were from the 19th century, ranging from buttons and nails to animal bones, bottles, and ceramics. In 1986, the London Public Library installed a plaque to recognize the African Methodist Episcopal Church as a “priority one” heritage property in the City. It is the site of the first church of the Black community in London. In the 1800s, Canada abolished slavery and subsequently, it became a refuge for slaves fleeing from the U.S. The 1840s saw a significant gathering of slave refugees in the area. In 1847, land was bought for the African Methodist Episcopal Church (also referred to as the Fugitive Slave Chapel). In 1869, the congregation moved to Beth Emmanuel church at 430 Grey Street which still stands today with a congregation as strong as ever. Small groups of 6-8 people work to help wash artifacts from the Fugitive Slave Chapel site. In the summer, 1 meter square units were excavated on the site and any materials found in that space were documented and kept together in “field bags” with attached provenience information: site number, unit coordinates, level, date, and excavator’s initials. Each bag is given a separate number for the site. Artifacts from the completed units are taken to a lab for processing. Darryl Dann is a licensed archaeologist and volunteer with the archaeology at the Fugitive Slave Chapel project in London (275 Thames Street). He is currently helping organize and supervise the washing of artifacts excavated at the site this past summer. Volunteers have been washing the artifacts at the Museum of Ontario Archaeology for the month of January 2014. Volunteers have been working on two jobs: washing artifacts and documenting the items to help cataloguers enter the artifact information into a database for storage, ease of access, and future research. An amazing group of over 35 volunteers have taken part in this public archaeology excavation and post-excavation process. It has been a great opportunity to learn about artifacts, history, and the archaeology process. Watch this video about the Fugitive Slave Chapel project to learn more!